In the past, he had managed to trap five real-live tigers within a large soap bubble. 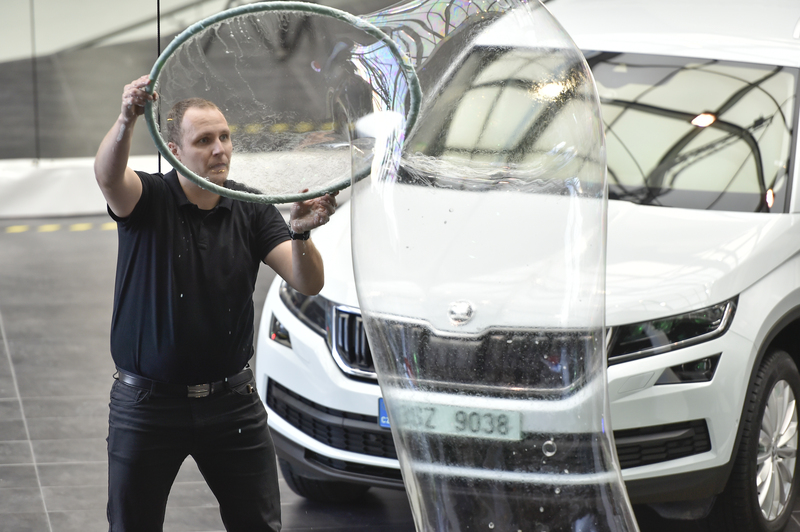 This time, he succeeded in “capturing” a much bigger beast – the new ŠKODA KODIAQ SUV. Matěj Kodeš thrilled the audience in Mladá Boleslav with his world-class show. 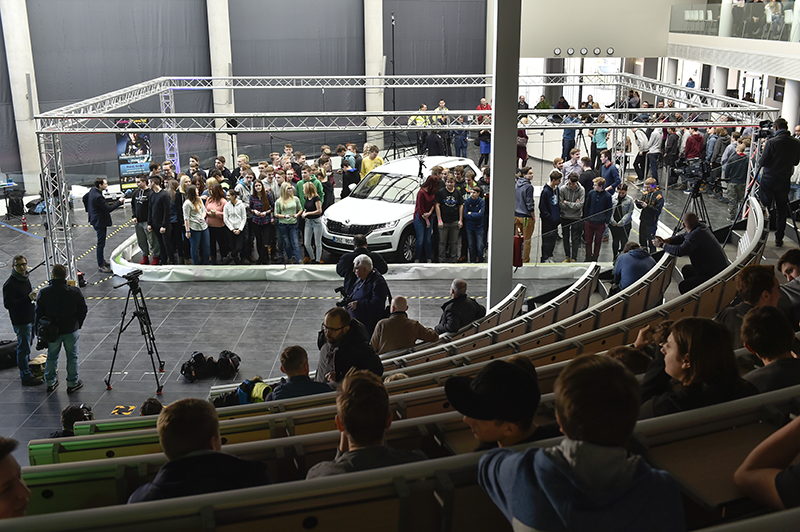 The world record was achieved in mid-January at the auditorium of the Na Karmeli Education Centre. 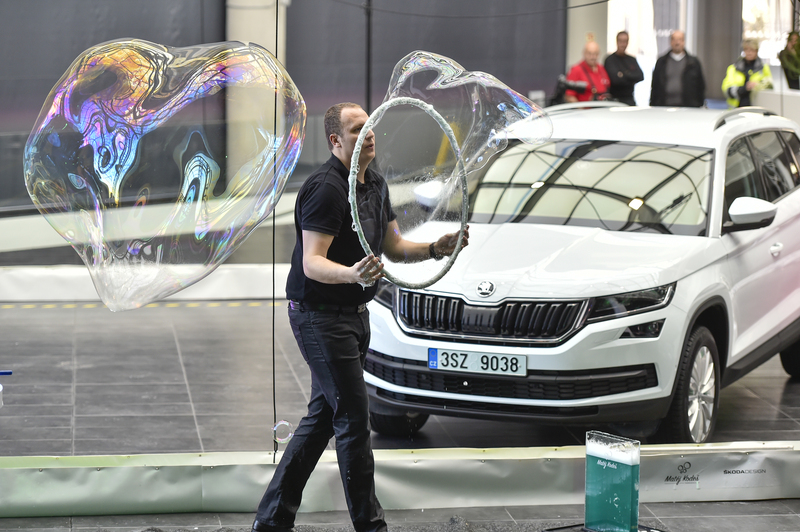 The tenth attempt to capture the KODIAQ together with 275 people in a single bubble was successful, and once again Matěj confirmed his standing among the world's elite. 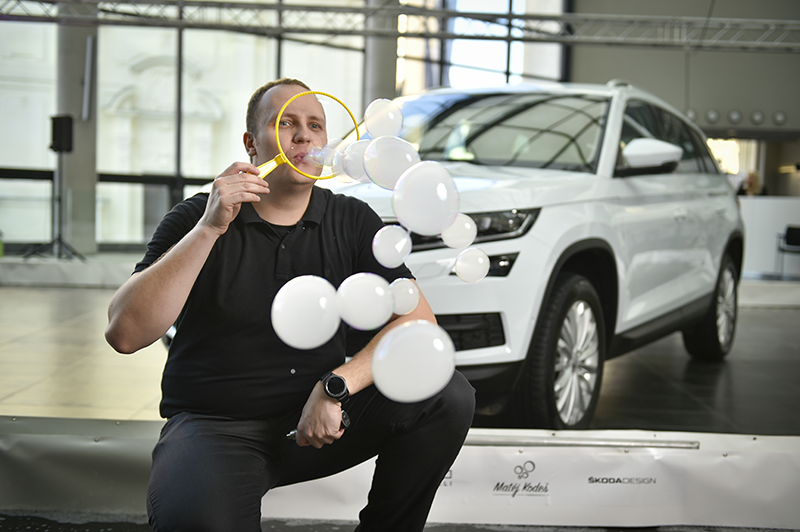 It is instantly apparent that this bubble-master is a born entertainer. From the wee hours of morning, he continuously plays with bubbles of different shapes and sizes, and with a smile he peeks into the auditorium where people slowly start to gather. Maybe this is his technique to overcome stage fright, as this is his big day. 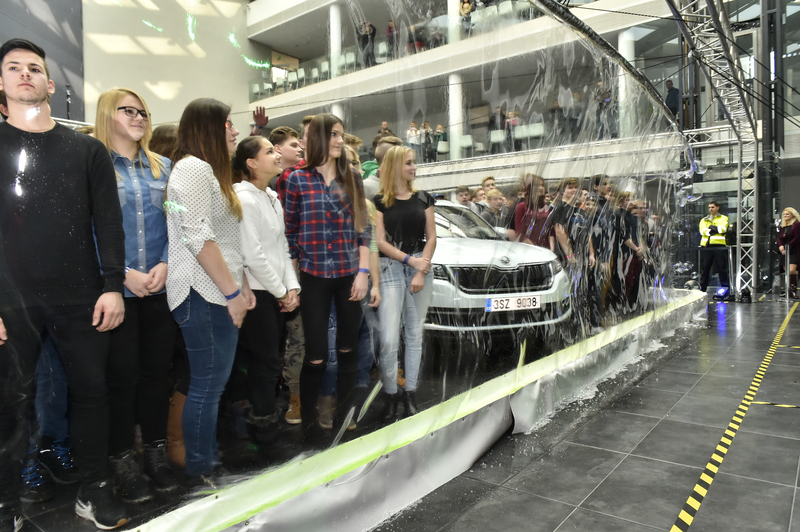 In the meantime, he carefully inspects the state of the soapy liquid he will soon use to create a delicate, rainbow-like enclosure around the fancy car and more than 200 students of ŠKODA Secondary School. All the components forming the metal frame must be carefully inspected. It is in cuboid shape, and its task is to support the pulling mechanism that will lift the frame immersed in the soapy liquid. Nothing can be underestimated. Every detail matters. Otherwise, the world record could be at risk. The huge and well-lit auditorium begins slowly to fill with journalists, spectators and those who are soon to become part of the record itself. 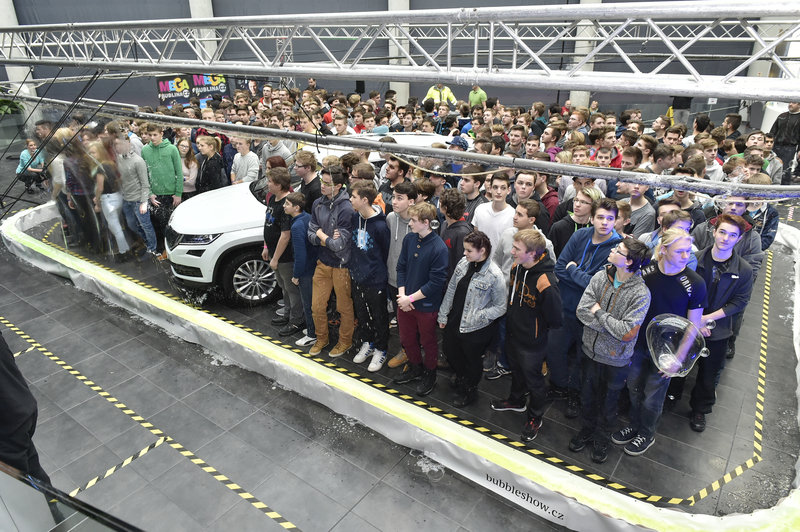 A host takes care of the organization and encourages students to sign up and slowly assemble beneath the structure. Matěj has a bit of time for a few bubble tricks until everybody surrounds the white beast and creates a compact unit with it. The audience begins to grow a little impatient and is in danger of becoming bored. The actual event begins. Although the bubble-master is smiling, no astute observer could miss the stress reflected in his facial muscles. Everything is set and the performer’s team checks all the details one last time. The host calls for the spectacle to commence, and Matěj Kodeš attempts to create his gigantic bubble. Unfortunately, his first attempt is unsuccessful. Second, third, fourth attempts follow – and again, nothing. 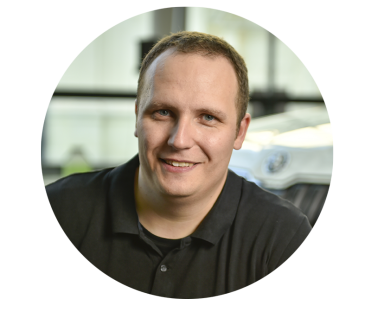 Together with his team, Matěj looks for the cause of the failure. He is very experienced and soon recognizes that one side the bubble is threatened by a draft. A light waft of air barely noticeable to ordinary people can be quite deadly for a soap bubble. Help comes in the form of a living human shield created by the audience itself. And this contributes to Kodeš achieving the world record in the end. His tenth attempt is thus transformed into a success, and the Mladá Boleslav auditorium roars with the applause and cheers of all those involved. The bubble magician’s show of relief is quite noticeable. Just after the challenging event, we posed a few questions to the exhausted but extremely satisfied bubble-master. Which of your achievements (historically) was the most challenging and why? Would you include among those the current one involving the new KODIAQ SUV? 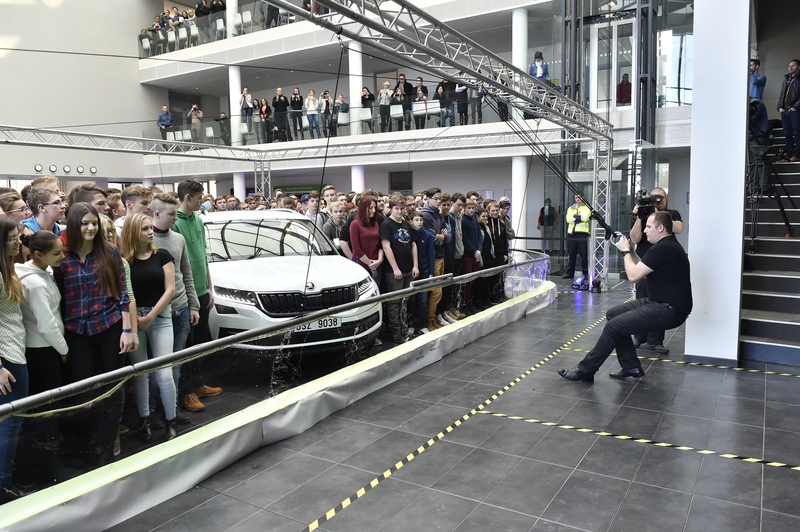 If we speak of achieving records, then, obviously, it is this last one attempting to capture as many people as possible into a bubble together with the ŠKODA KODIAQ. The main reasons have to do with the size of the car together with the weight of the device that had to be built around it. 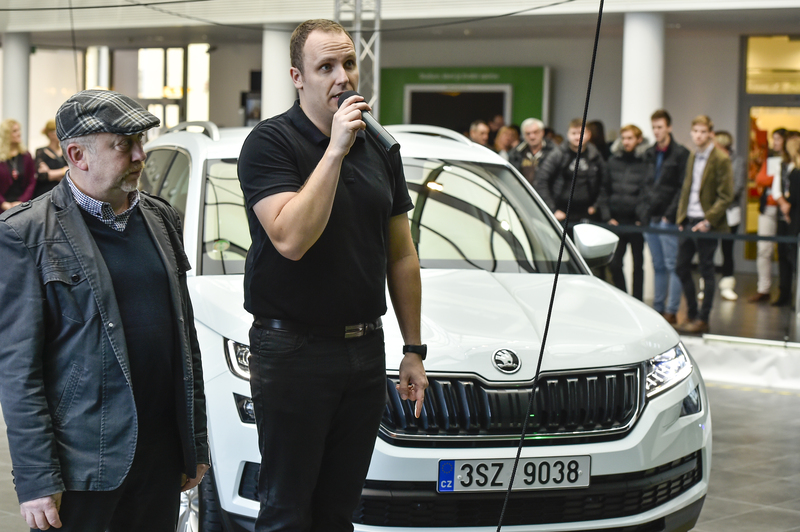 Now, when I think about it, my latest record with the KODIAQ was probably the most difficult. Compared to the previous record of trapping 214 people within a bubble, the construction had to be enlarged by 28 m2 to 83 m2. At this size, I had to rely solely on calculations and I could not try it in advance. On site, I had to fight with strong drafts that were constantly tearing at the bubble from one side. After several unsuccessful attempts, we created a wall from the audience on one side and the record was finally achieved. 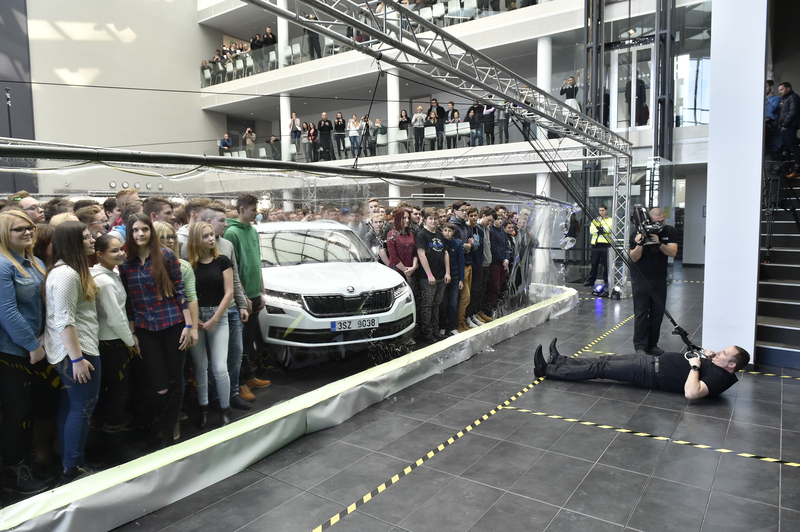 The last attempt will enter the Czech Book of Records, and we must wait a little longer for the verdict of the GWR (Guinness World Record). Another challenging record for me was achieved in 2014, in Hong Kong. The customer wanted basically to create “a record of any kind” as a form of advertising for all my planned shows at department stores throughout Hong Kong. The idea was that, after my arrival, I would have time to get settled in, to prepare everything I needed, and then to attend a press conference together with the client. It was to take place at one of the most luxurious shopping centres in the city, and I was to create a record there after I of course had had the time needed for preparation. Unfortunately, the plane had a huge delay and so there was almost no time for preparation. I had to go to the venue straight from the airport. Luckily, with respect to props, I had chosen an easy record, which was to create the longest chain of linked bubbles produced solely using one’s hands. I needed only hands and bubble mixture to create this record. Despite the enormous stress, everything eventually worked out in the end and the record was achieved. I created a chain composed of 14 bubbles. Since then, I have managed to repeat it only once. Your work is very attractive for the audience, but in the end it’s nothing more than a “burst bubble”. Isn’t that a little frustrating? A little bit, but you get used to it. (He smiles.) I enjoy the fact that, in my job and thanks to this bubble show, I have an opportunity as an adult man to return to my childhood years for a while. Some of my friends are fascinated by the fact that I travel 900 km or fly across the globe for a few minutes on a stage, but I think it’s worth it. What places have you visited thanks to your work? Which of those were the most interesting for you and why? I have had the opportunity to visit many countries in my profession. Probably the one I remember most was a two-month stay at Ngong Ping 360 in Hong Kong, also my shows in Shanghai, Moscow, Doha, Kuwait City, Valletta. Each of these towns had something special about it and, most importantly, I have very much enjoyed the local audiences. They are so completely different in comparison to what I’m used to from back home. The craziest event (in a good sense) took place during concerts of Daniel Nekonečný. I wore a black suit and a Fantomas mask and created bubbles during his shows. That was really something incredible.